We are not vegan, but we are dairy-free. 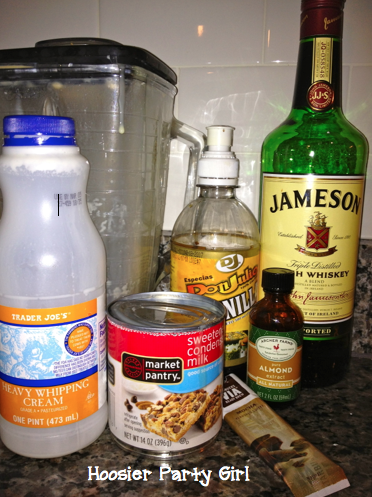 My original Irish Cream recipe – before I discovered a dairy allergy – called for whipping cream and sweetened condensed milk. While you can get evaporated goat milk, I wanted to see what I could do with (canned) coconut milk. While this recipe may continue to be tweaked, but as I sip it right now I feel confident enough to serve it to friends. 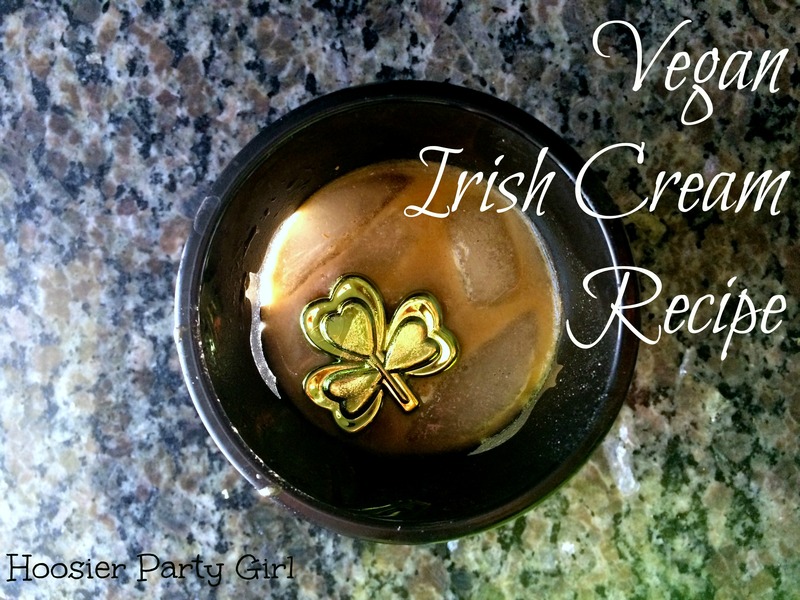 My original Irish Cream recipe, I bottled and gave as gifts on several occasions. I am definitely not forgetting that recipe. Start by brewing your coffee. I used double the amount of beans and let it steep a bit longer. I brewed a full pot and can just add hot water to it before mixing in my Irish Cream in the morning. Heat the coconut milk in a medium to large sauce pan over medium low heat. The key here is to melt the sugar not to boil the milk, stirring in the sugar until it is well combined. Reduce heat to low and add the chocolate powder. I prefer to combine all of this with a whisk rather than a spatula. 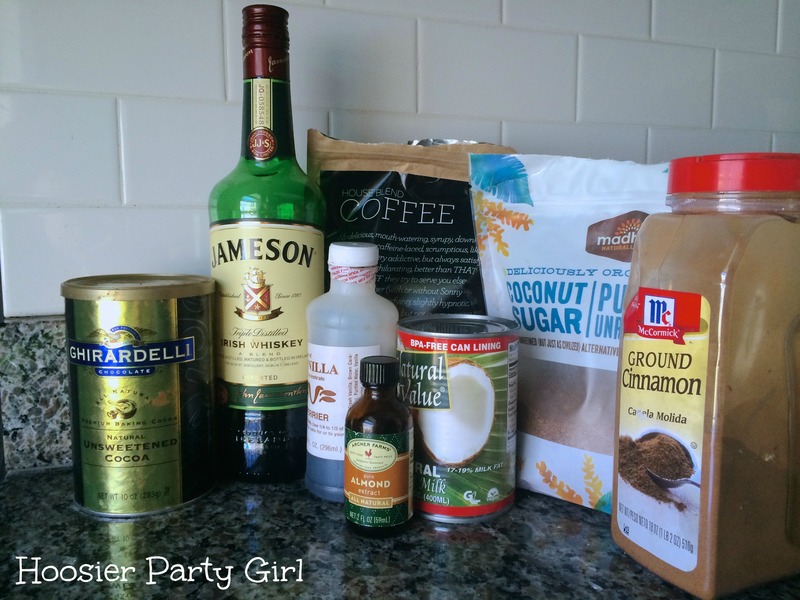 Remove from heat and add the rest of the ingredients – vanilla, almond extract, cinnamon, and whiskey. Serve over ice or with your morning coffee. The coffee is fairly strong, so I would not consume this too late in the day or you may have trouble sleeping. Store it in the refrigerator; you will likely need to shake or stir gently before pouring. We have our corned beef resting. 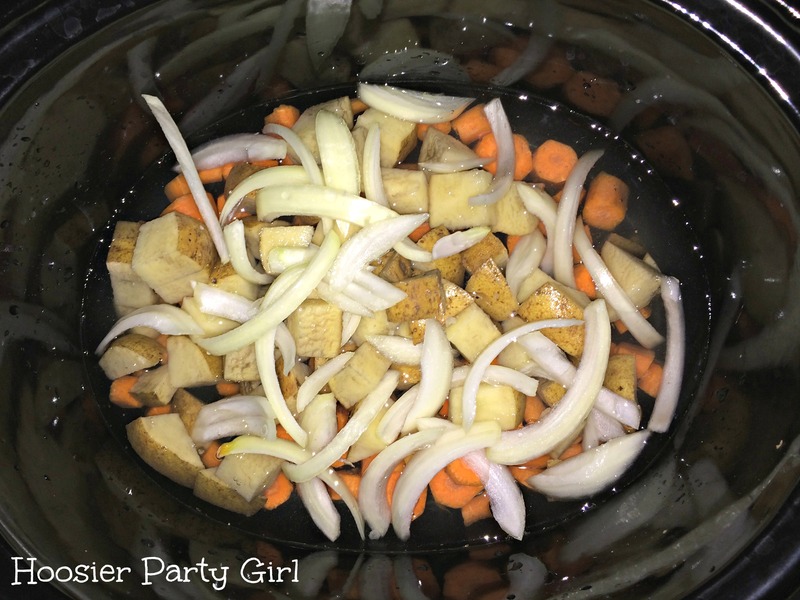 I will add potatoes, carrots, and onions, cooking it in the slow cooker. Of course, it will be served with cabbage. Our favorite cabbage recipe is below. 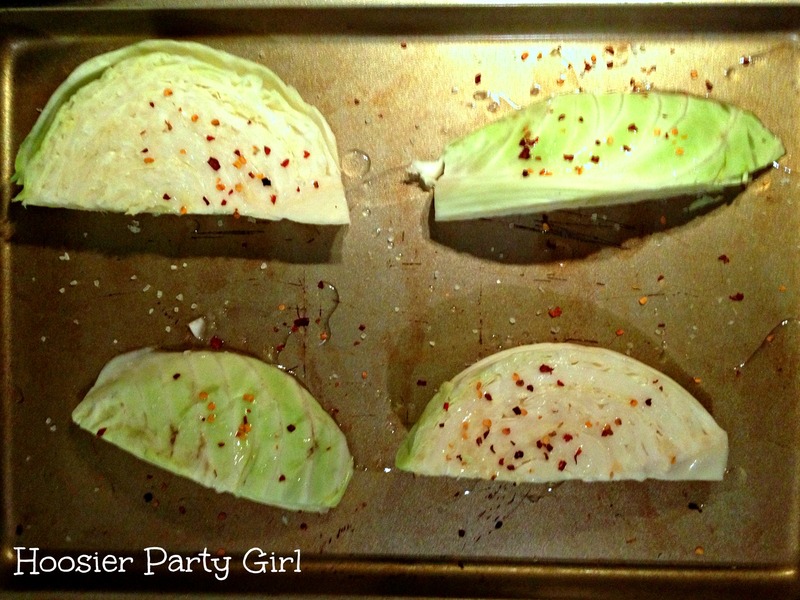 Cut the cabbage and let rest for at least thirty minutes in a colander with salt. Squeeze excess ager from the cabbage. 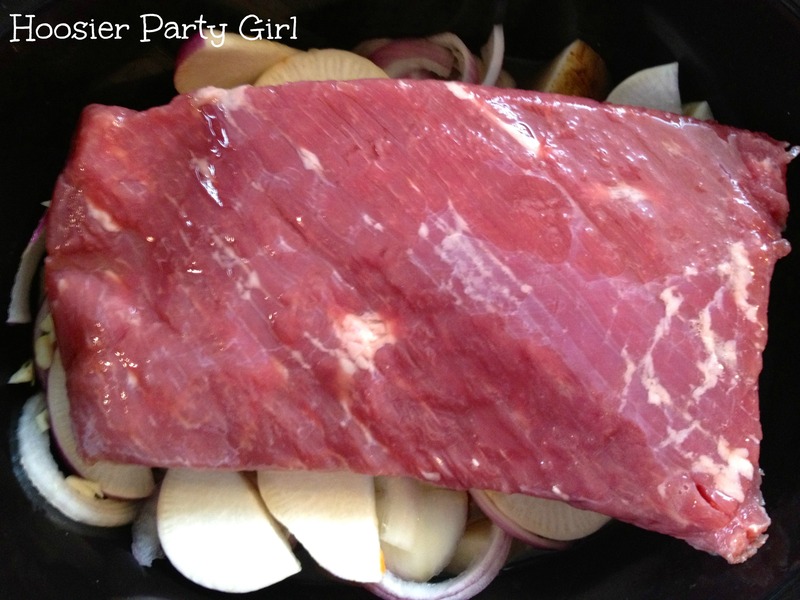 Melt lard in a pan and cook onion until soft. Add cabbage and cook until soft (there is no perfect level of done – it depends on what your family prefers). I like to season with red pepper flakes. My son used to be sensitive to spicy, so I sometimes leave those out. It is easy, healthy, and yummy. 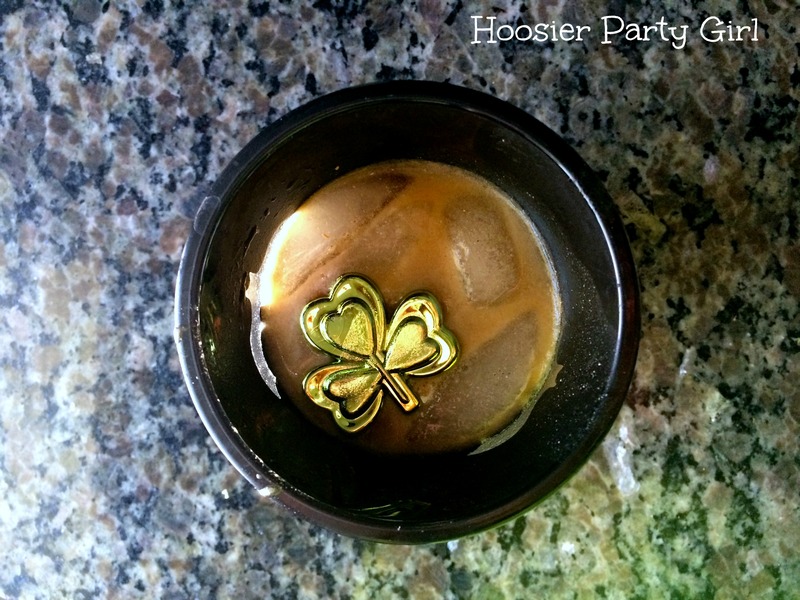 What will YOU be serving on St. Patrick’s Day? I have to admit that I learned how to do theme parties from my parents. My dad’s favorite one every year is “Celtic Fest”. 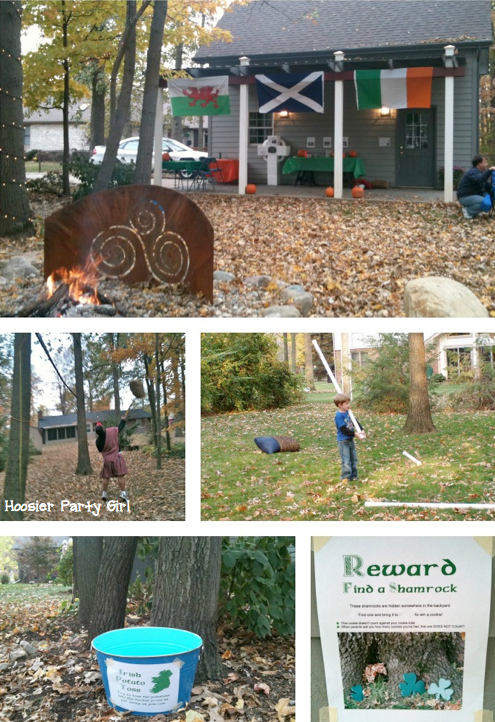 He goes all out with decorations, games for the kids, backyard Scottish games, kilts, and more. Even more over the top at Celtic Fest is all of the food. Do you see all those crockpots full of beef stew and lamb stew? There were Scottish flag cookies too, but they were devoured before I pulled out my phone. This year, I wanted to contribute some food allergy-friendly dishes. I used this recipe to make candied popcorn. I did burn one batch of the sugar, leaving the liquid candy brownish rather than green. Don’t leave out the vanilla – it really does change the flavor. I was just afraid of turning another batch brown unintentionally. I followed the directions exactly with the orange though and it was lovely. In fact this recipe was an easy way to keep the food in the theme colors, that it will likely show up at other parties in the future. I also used the recipe for Turkish Cake to add more green to our table. The green is from pureed spinach, but you won’t taste it. The cake was gluten free, dairy free, made with spinach, (and without the vanilla – the recipe’s directions left out that step) and I still had people asking for the recipe. I think that makes it a winner. I thought it was extremely moist and had a great flavor. Because I made it dairy free, I tried to make my own whipped cream topping out of cans of coconut milk, but that didn’t work. On my way to the party, I stopped at Whole Foods where they had a spray can of soy cream, but then we could not get it out of the can. In the end, it only had a dusting of powdered sugar, but my intention was to add a green sugar shamrock to the top – maybe I can do that for St. Patrick’s Day. Sometimes no matter how hard you try, something is going to go wrong. 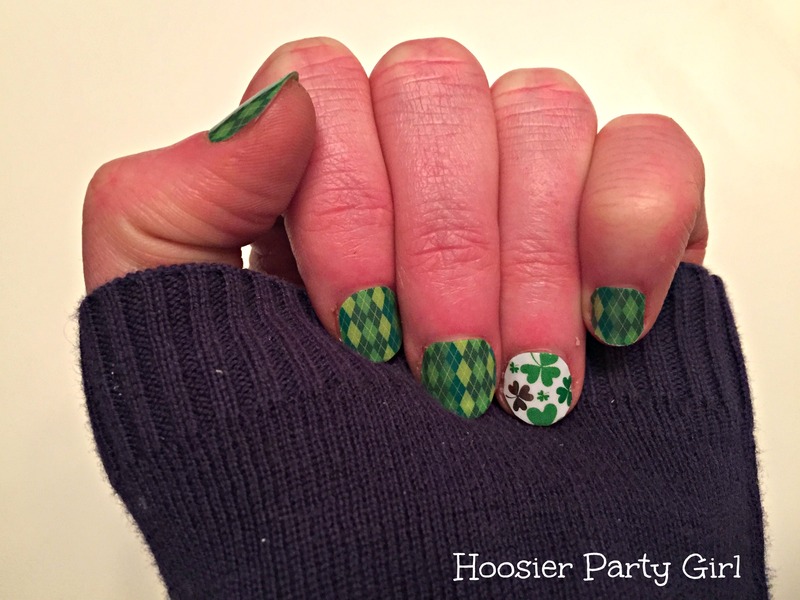 Although the house is decorated some and I’m decked out in green (with my toenails painted orange), my St. Patrick’s Day preparations are a fairly simple this year because tomorrow I will be headed to to Chicago to celebrate with friends and family. 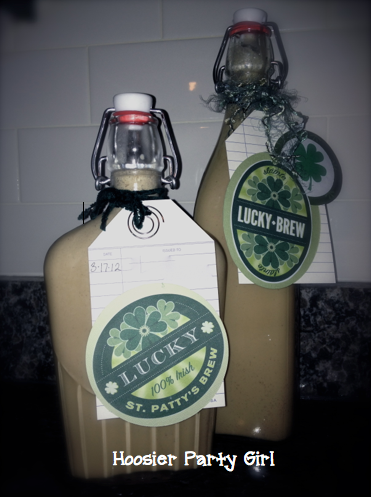 I wouldn’t want to arrive empty-handed, however, so I made some easy treat bags and homemade Irish Cream. I was inspired by this post, but I couldn’t get my fonts to line up as well as hers did. So I headed back to Pinterest until I found the Lucky me. Lucky you. printable. The four-leaf clovers came from this website. I intended to cut the card stock down to a shorter width, so it would be closer to the side of the bag. I guess I got too keyed into my embellishments. I cut 2.5″ squares out of patterned paper scraps, layered on the shamrocks, and stuck on a half a “pearl” in the center of each. 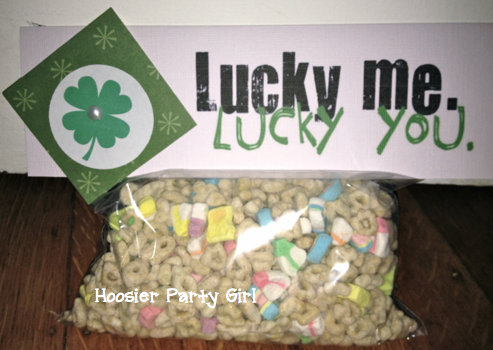 Did you know that Lucky Charms are naturally gluten free since they are an oat cereal? Thanks to JustHeather for tipping me off to that. While it is certainly a sugary cereal, there is not any High Fructose Corn Syrup, so I don’t feel too bad about gifting it as a holiday treat. I would like to add some “gold” to the bags as well, but I will likely run out of time to get to the store what with packing and all. Clearly this is not low calorie or low fat. I cut the whiskey back per the recipe’s suggestion. I also used the mocha via I had left over from when I traveled to a location where I knew I would not be able to obtain decent coffee for several days. (It’s not fabulous, but it’s decent). A double batch filled these two bottles (from the Container Store) perfectly. The labels on the gift tag came from this website. I layered them on card stock, added a shamrock left over from the treat bags layered, and used green fibers to tie around the neck of the bottles. I used old library cards to make the gift tags. I think they are pretty adorable, and the recipients will enjoy them. 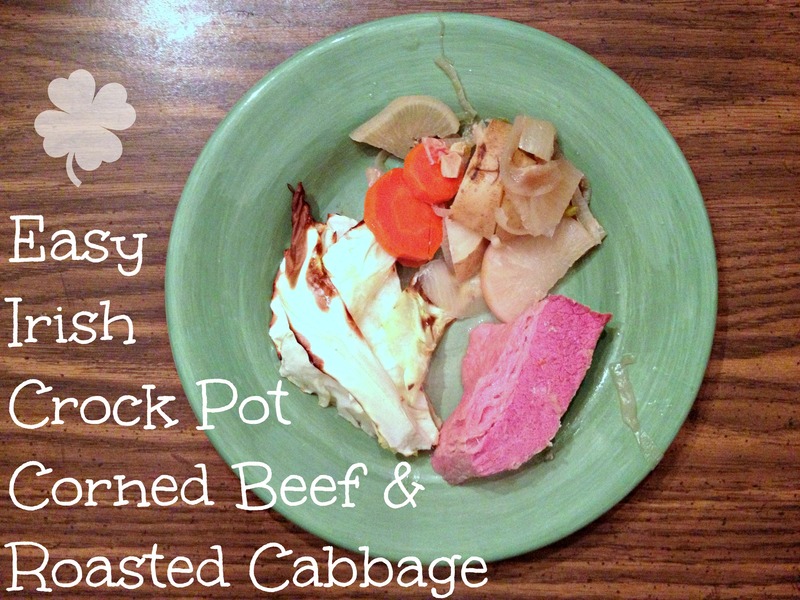 I also made some corned beef and cabbage for dinner earlier this week, but that recipe needs a little work.